Interpol is an international police organization with over 190 member countries. Its aim is to facilitate international police cooperation. Each member country has a National Central Bureau with law enforcement officials. India is one of the oldest members of Interpol, having joined the organization in 1949. Recently the Interpol has issued a Red Corner Notice (RCN) against Purvi Modi, the sister of Punjab National Bank (PNB) fraud accused Nirav Modi. 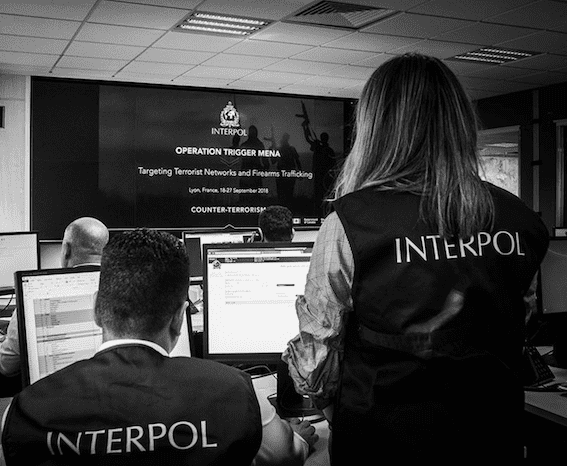 Interpol Notices are international requests for cooperation or alerts allowing police in member countries to share critical crime-related information and a notice can be issued against the party accused. For instance, the Red Corner Notice against Purvi Modi has been issued in connection with the PNB fraud case, and in response to a request from the Enforcement Directorate. The Directorate of Enforcement is a law enforcement agency and economic intelligence agency responsible for enforcing economic laws and fighting economic crime in India. The ED’s (Enforcement Directorate) official website enlists its other objectives which are primarily linked to checking money laundering in India. As it is an investigation agency, providing the complete details on public domain is against the rules of Government of India. The prime objective of the Enforcement Directorate is the enforcement of two key Acts of the Government of India namely, the Foreign Exchange Management Act 1999 (FEMA) and the Prevention of Money Laundering Act 2002 (PMLA). In most of the cases, India has issued the Red Notice. The request for issuing a red corner notice against Nirav Modi and Mehul Choksi has been sent by the Central Board of Intelligence (CBI) to Interpol. The definition of the red notice is to seek the location and arrest of wanted persons with a view to extradition or similar lawful action. The persons concerned are wanted by national jurisdictions for prosecution or to serve a sentence based on an arrest warrant or court decision. The imposition of a Red Notice will have a detrimental effect on the individual. The individual’s international travel will then be curtailed and the person can be stopped and arrested (if travelling through a member state). There will also be other detrimental consequences such as closures of bank accounts and issues with other financial institutions apart from reputational damage. Interpol has issued Red Corner notices for 338 Indian nationals from the year 2008 to 2010. A Red Corner notice allows a warrant issued by a national authority to be circulated worldwide, with the request that the wanted person be arrested with a view to extradition. Earlier, Interpol had issued 495 Red Corner notices against Indians worldwide between 2001 and 2007. That means only 25 per cent of the total Red Corner notices against Indians originate because of a crime in their home country. In other words, three-fourths of the crimes committed by Indians that led to Red Corner notices against them were abroad. Yellow Notice – to help locate missing persons, often minors, or to help identify persons who are unable to identify themselves. Blue Notice – issued to collect additional information about a person’s identity, location or activities in relation to a crime. 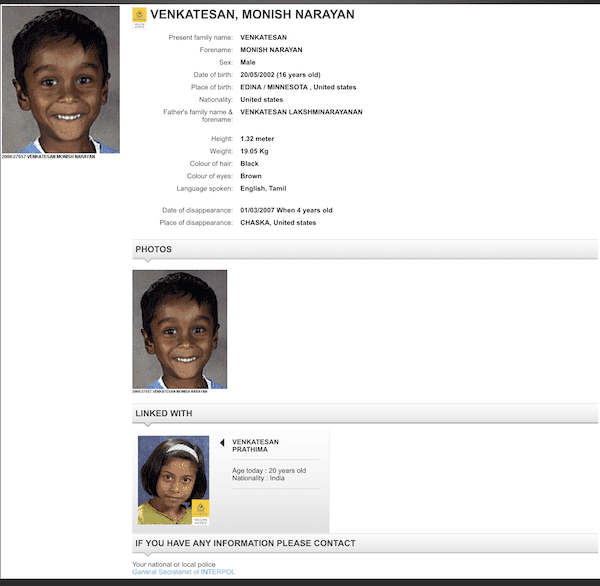 Black Notice – to seek information on unidentified bodies. Green Notice – provides warnings and intelligence about individuals who have committed criminal offences and are likely to repeat these crimes in other countries. Orange Notice – to warn of an event, a person, an object or a process representing a serious and imminent threat to public safety. Interpol United Nations Security Council Special Notice– is issued for groups and individuals who are the targets of UN Security Council Sanctions Committees. Purple Notice – to seek or provide information on modus operandi, objects, devices and concealment methods used by criminals. Only those notices approved for public dissemination appear on Interpol’s website. Any individual subject to an Interpol Notice is presumed to be innocent until proven guilty. The country that sought the listing is notified through INTERPOL and can request either his provisional arrest (if there is urgency) or file a formal request for extradition. The country in which the individual is found is not compelled to act and may ignore the Notice if it believes that the requirements of an extradition treaty with the requesting country are not met. In addition, if the person is seized and the requirements of the extradition treaty are not satisfied by the requesting country, the person may be released. Request for Correction of Deletion of Data to the Requests Chamber of the Commission for the Control of Interpol’s Files. The firm also has experience of requesting provisional measures to be taken by Interpol in relation to the processing of data in order to provide the necessary security for our clients. Thus, they are able to block police cooperation in relation to our client during the time of processing our request for correction or deletion. Furthermore, if a client believes that police cooperation through Interpol’s channels is being sought by the prosecution authorities of their country, we employ the practice of writing requests in advance in order to prevent possible violation of our client’s rights, since such actions of the NCB would be violating the objectives and purposes of the red notice system. Zaiwalla & Co.’s team offers a systematic and professional approach in removing Interpol red notices and their experience allows them to employ all the possible mechanics in order to represent our clients and protect their rights at our best effort.